Zine El-Arab is an independent uncensored Arabic zine largely dependent on visual contributions from the Arab World and some short writings. The Zine is printed on home printers and distributed casually in public places. 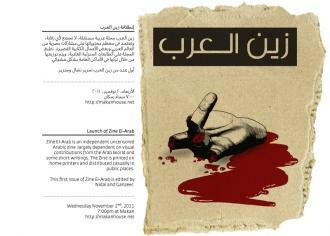 This first issue of Zine El-Arab is edited by Nidal and Ganzeer.